Toyota had once again been able to introduce an innovation so fresh they seemed to have gone out of the box instead of just thinking out of it. 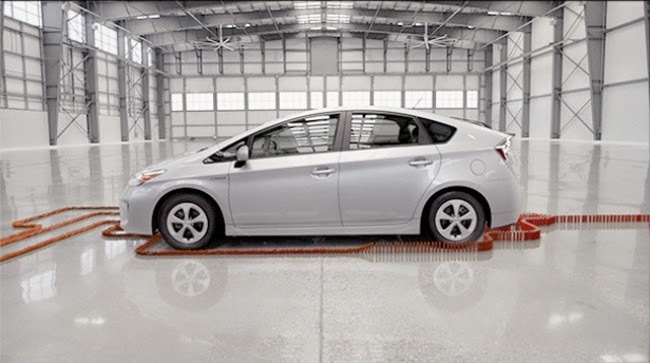 With so many illustrations that had been used by various companies, Toyota had used Dominoes in an effect that nobody have seen coming, the reverse domino effect. Toyota knows that vehicles had always been associated with pollution and negative influences to the environment only for the convenience of man. The pioneer company which had been the first automobile manufacturer to produce more than 10 million vehicles per year had decided to start an action and be a model of ecofriendly car manufacturer by introducing Fuel Cell Vehicle. Gasoline will not be needed to be turned into energy through combustion and give of carbon dioxide. Fuel Cell is born with the idea that the chemical reaction between the hydrogen and oxygen can produce enough electricity to power a car’s engine. Hydrogen, an element that can be easily found in abundance of various raw materials, can ultimately replace the gasoline as a fuel. Hydrogen does not produce carbon dioxide. 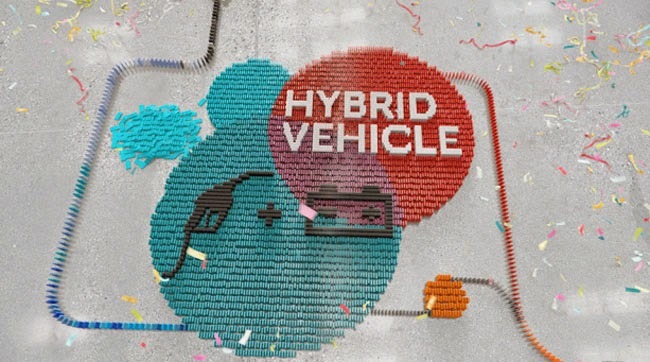 Toyota’s innovative hybrid creations is the first of its kind and a bold step to express their stand that the future of the environment does not need to suffer for man’s comfort. You can join with the cause of their stand by checking out Toyota’s Global Website, follow Toyota’s achievement is a start for humanity to give back to the mother earth. Dominoes had always been an illustration of one piece falling and the others follow, with Toyota’s new video, they had pointed the idea that if a domino can stand up, the rest also follows in the chain of reactions. If you want to see the illustration through a video and you want to know more on how to have the convenience of a car and not hurt the environment, why not subscribe to their YouTube Channel? One innovation, one action can change the world. This post has been sponsored by Toyota, but all thoughts are our own by CEnterTechNews.